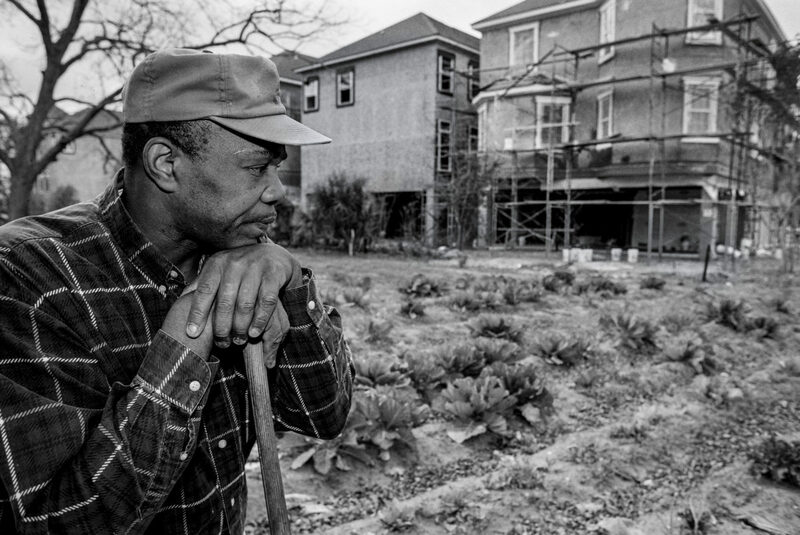 Eddie Grant Jr. tends his mother's garden as new condominiums rise along her property line. 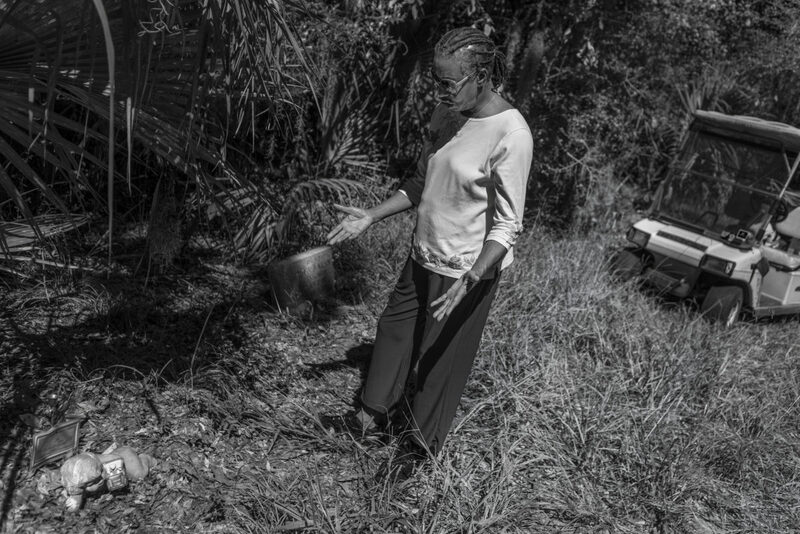 While Grant's family has managed to hold onto their land, many other Gullah Geechee residents have been forced to sell their property due to rampant development and escalating taxes. Grant says Hilton Head has "lost its charm" to development. 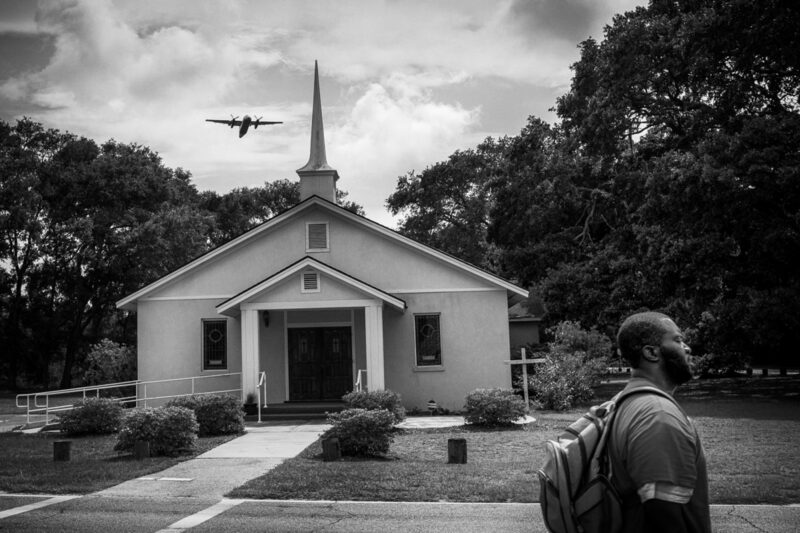 Taking off from Hilton Head Airport, a U.S. Airways plane passes over the St. James Baptist Church, which is located on property where the Gullah Geechee have worshiped since 1886. Airport improvement plans approved by the Beaufort County Council and Town of Hilton Head Island Town Council would extend the runway through the church site. 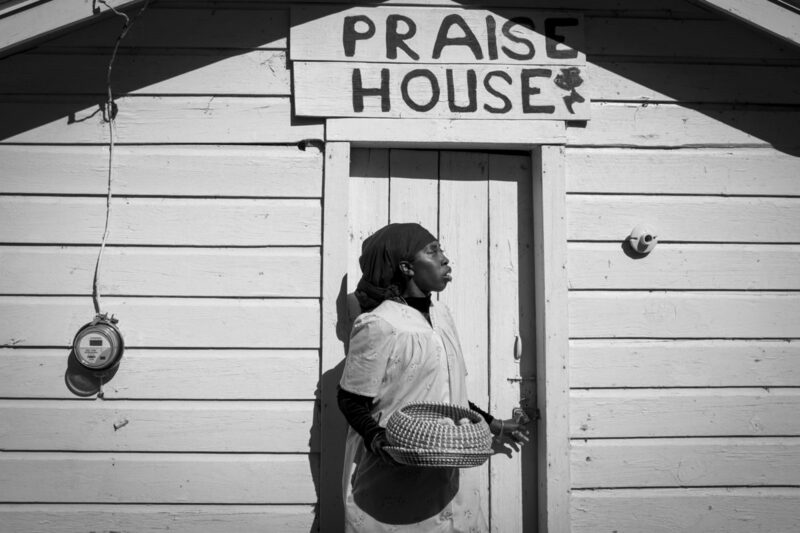 Desperate to preserve their church, the Gullah Geechee are fighting the project. 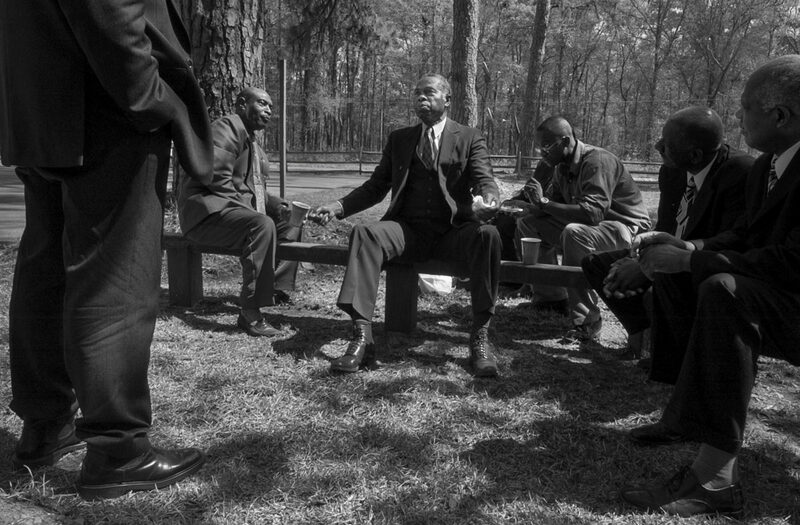 Members of the First Union African Baptist church sit and discuss island issues and politics following a service on Daufuskie Island. 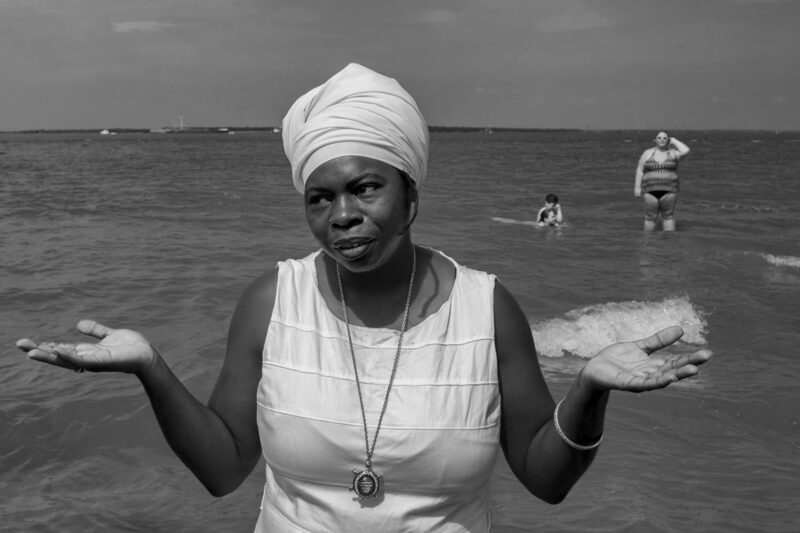 Every year a ceremony is held in several places along the eastern coast of the U.S. like Sullivan's Island near Charleston, S.C., commemorating the nearly 2 million Africans who perished in the Middle Passage of the transatlantic human trade. A young member of Mt. Calvary Missionary Baptist Church walks toward the shore after being baptized in Skull Creek. Mt. 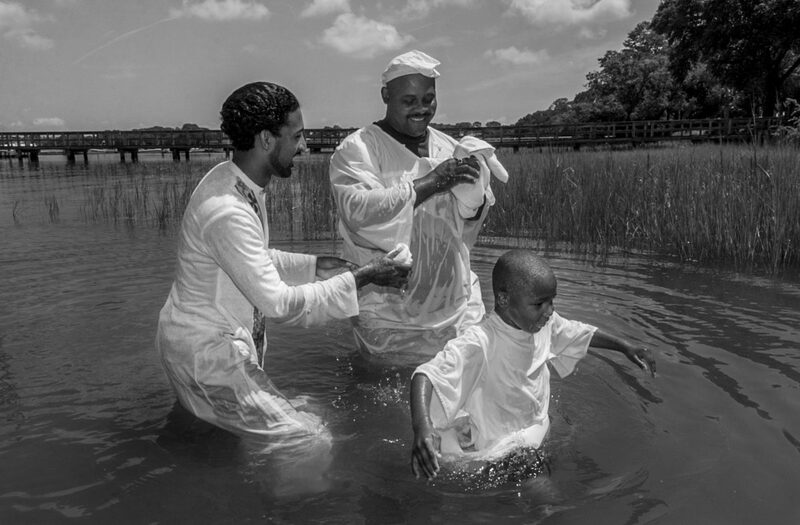 Calvary Missionary Baptist Church is one of the few churches on Hilton Head Island that still performs traditional river baptisms. 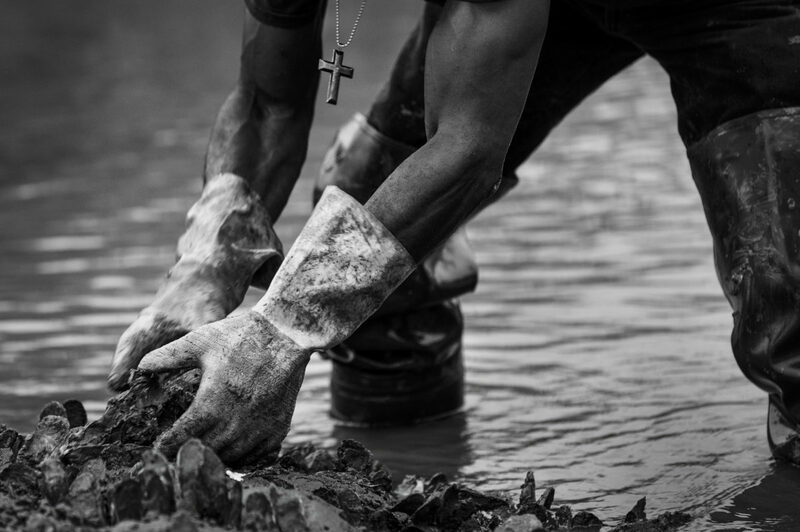 Other churches have given up the practice as development has limited their access to the islandÌs waterways. Queen Quet Marquetta L. Goodwine, Chieftess of the Gullah/Geechee Nation stands outside of one of the three remaining praise houses on St. Helena Island, S.C. Built during slavery, they were small places of worship for the Gullah and still serve an important spiritual role in the Gullah community. 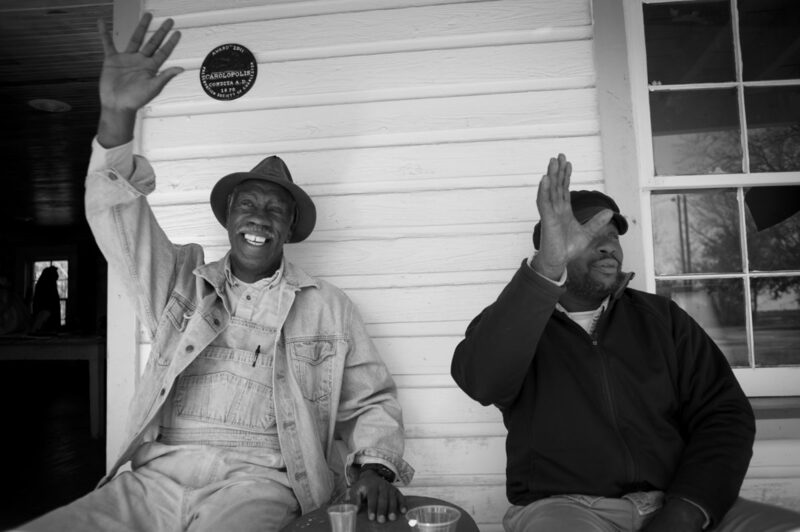 Sol Legare residents Ernest Parks and James Brown wave to passers-by from the front porch of the recently restored Seashore FarmersÌ Lodge on James Island. 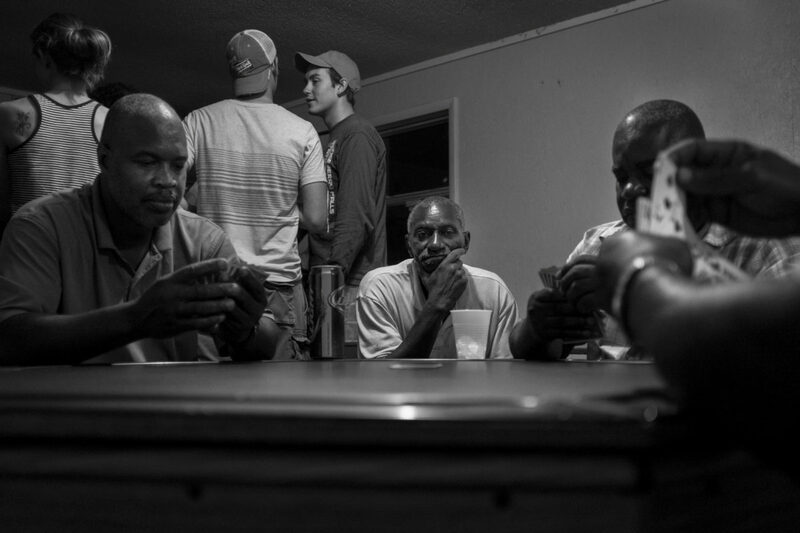 Sol Legare is a Gullah community, most of whom can trace their families back as many as seven generations to the original settlers who were freed slaves. University of Georgia students, who work at the University of Georgia Marine Institute, made the trip across the island to hang out with men from Hog Hammock at the Trough, the only bar on Sapelo Island. 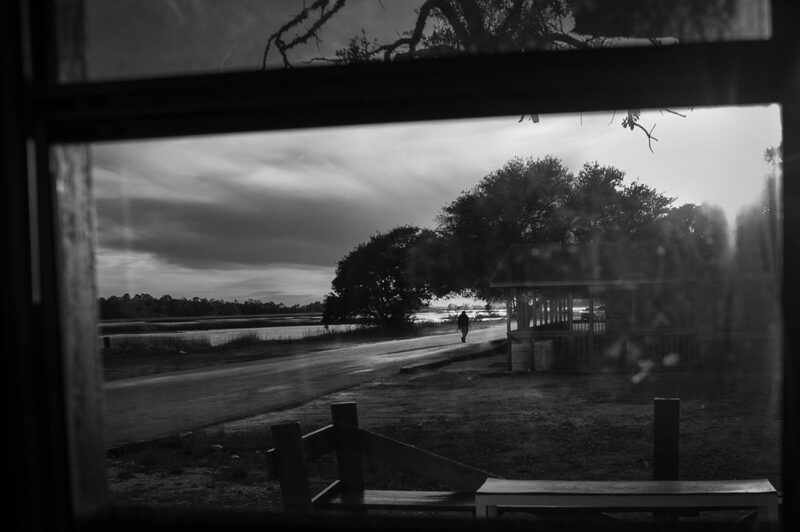 James Brown walks along the road at Mosquito Beach in the Sol Legare community on James Island, South Carolina. The "beach" is a quarter-mile strip of marshland and mud, but back when segregation was still in effect, it was one of the few waterfront areas that welcomed African Americans. There was not much swimming to be had but they danced, drank and ate in the restaurants and juke joints. Harry Murray pilots his bateau boat in a creek near Hilton Head Island. 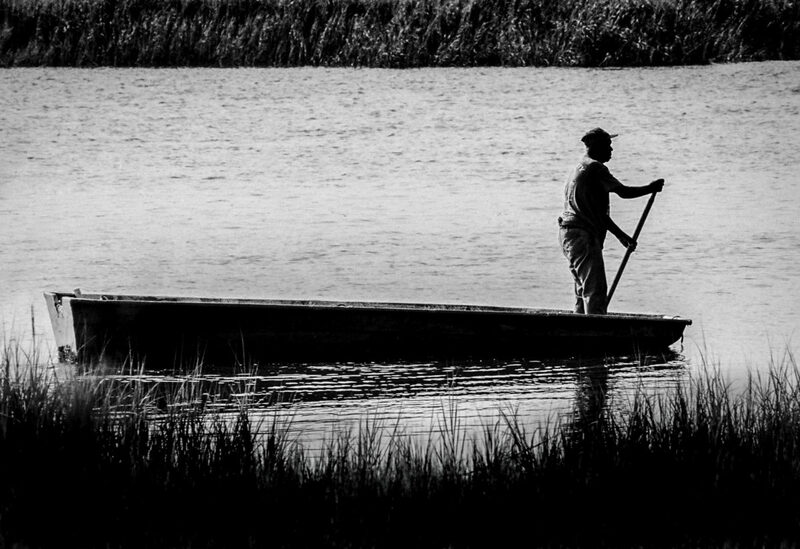 The Gullah Geechee once relied heavily on the shallow-draft, flat-bottom boats for transportation and fishing. But few Gullah Geechee use the boats today, and almost no one in the community builds them anymore. Gullah shrimper Diogenese Miller takes a break as "The Rip Tide" heads back toward the dock on Hilton Head Island. Mt. 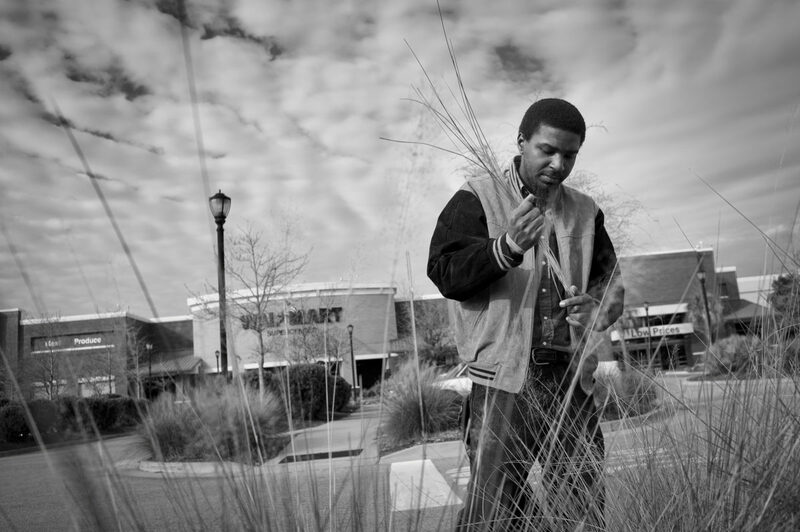 Pleasant resident Antwon Ford pulls sweetgrass from the landscaping in front of the Wal Mart near his home. Ford has been sewing the traditional Gullah sweetgrass baskets since he was 6. The local Gullah residents have an agreement with the shopping center management to pull the grass that is necessary for making the baskets. Ford says this is the only place that remains available in Mt. Pleasant for the Gullah to pull the grass. Mt. 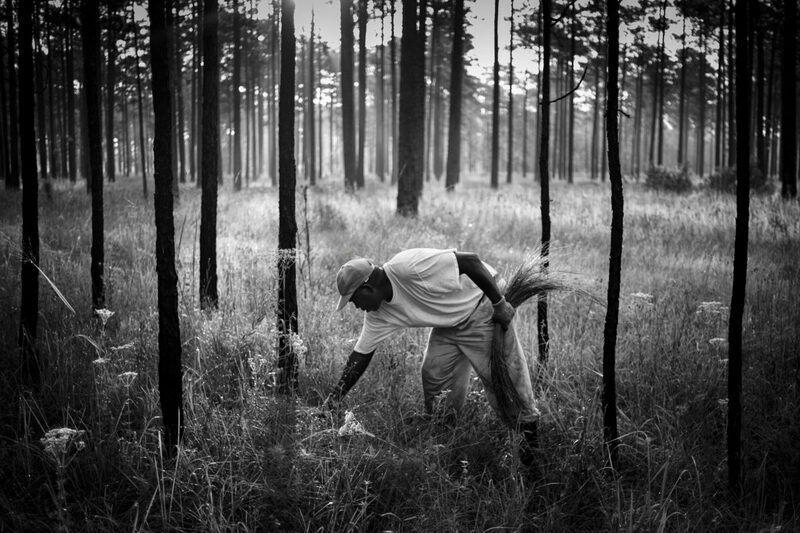 Pleasant resident Darryl Stoneworth harvests sweetgrass on property owned by the Okeetee Hunt Club near Hardeeville, South Carolina. With all of the traditional areas to harvest the grass in Mt. Pleasant now shut off to the Gullah due to the development of shopping centers and private residential communities, Stoneworth travels the 90 miles south to Hardeeville a few times each week during the month of July to pull the grass. The hunt club is closed for about a month during the summer and the management allows the Gullah to pull the grass at that time at no charge. 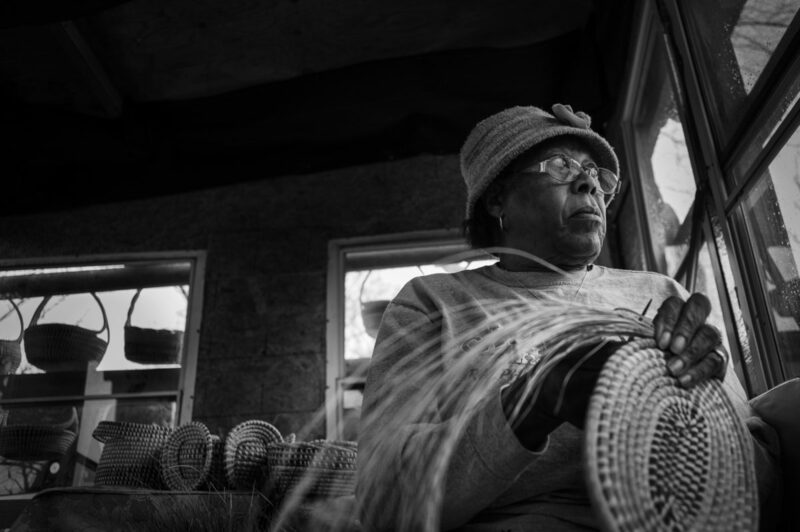 Alma Washington, 76, began sewing the traditional sweetgrass baskets at age 5. Sweetgrass basketmaking has been part of the Mt. Pleasant community for over 300 years. Basketmaking is a traditional Gullah art form which has been passed on from generation to generation. 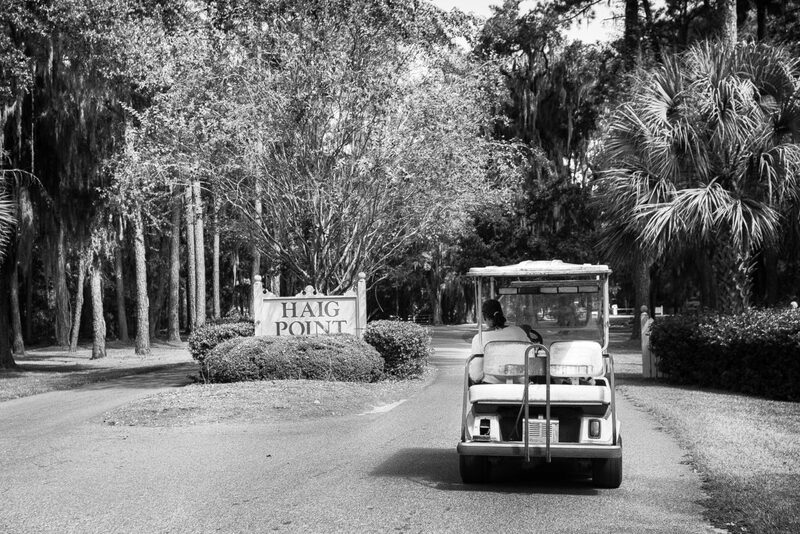 Yvonne Wilson drives up to the Haig Point gate in her golf cart to visit the family cemetery. In 1990 Wilson buried her 5-week-old son inside the private residential community. It infuriates her that she has to ask the management of the plantation for permission to visit her son's grave. Yvonne Wilson visits her sonís grave in the Gullah Geechee cemetery in Haig Point Plantation. The gravesite sits in a overgrown wooded area that the Gullah Geechee have to maintain themselves and of course need to ask permission and make arrangements to do so. The immaculately manicured golf course flanks the cemetery on one side and a residential road on the other. Since the plantation management will not maintain it, it is obvious to the Gullah Geechee that they would prefer their residents don't see it or even know it is there. 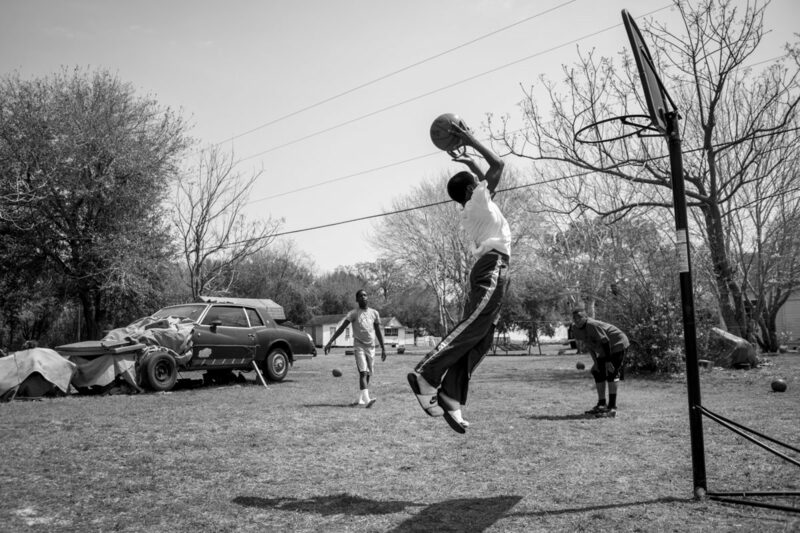 Three young Gullah children play basketball in the backyard of a home in the community of Sol Legare on James Island near Charleston, SC. 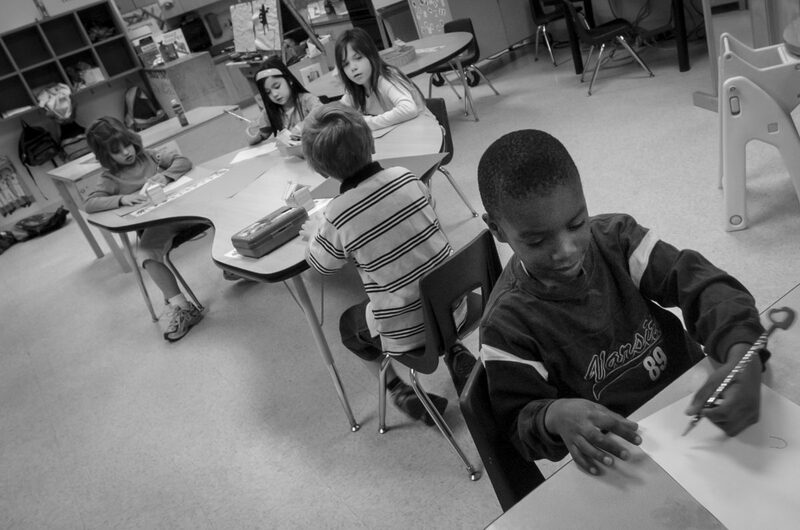 In 2006, Yvonne Wilson's grandson Quran Green was the only remaining native islander that attended the Daufuskie Island Elementary School on the island. In the 1950ís Wilson attended the now closed Mary Fields School where author Pat Conroy taught in 1969 and wrote about in the book The Water is Wide. At Bulow Landing, located in a part of western Charleston County, a clash is unfolding between the developer of the Poplar Grove subdivision and Gullah neighbors. The developer wants to install a gate on the road which would make it difficult for the Gullah to visit an old but active cemetery as well as the boat landing that is also used for fishing and crabbing. Land has already been cleared next to the cemetery for a community clubhouse. When slavery was abolished in 1863, the Gullah Geechee people of the Sea Islands settled in the lands they once worked as slaves when plantation owners abandoned their property. They continued their traditions and created their own communities steeped in religion and African traditions. They are known as Gullah in North and South Carolina and Geechee in Georgia and Florida. Having lived this way for decades, the Gullah Geechee are believed to be one of the most authentic African American communities in the United States. Now their culture is in danger of being consumed by golf courses, resorts and million-dollar homes. Many are losing their land due to skyrocketing property taxes and their their access to traditional hunting and fishing grounds have been cut off. 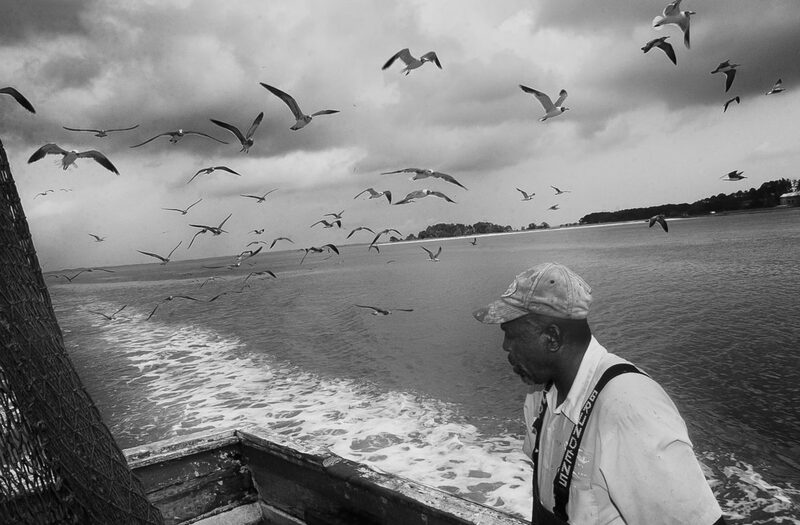 Large corporate fishing operations and strict fishing regulations strangle the independent Gullah Geechee shrimper and oysterman. Development has either removed or cut off access to the materials that the Gullah Geechee use to create their iconic sweetgrass baskets. 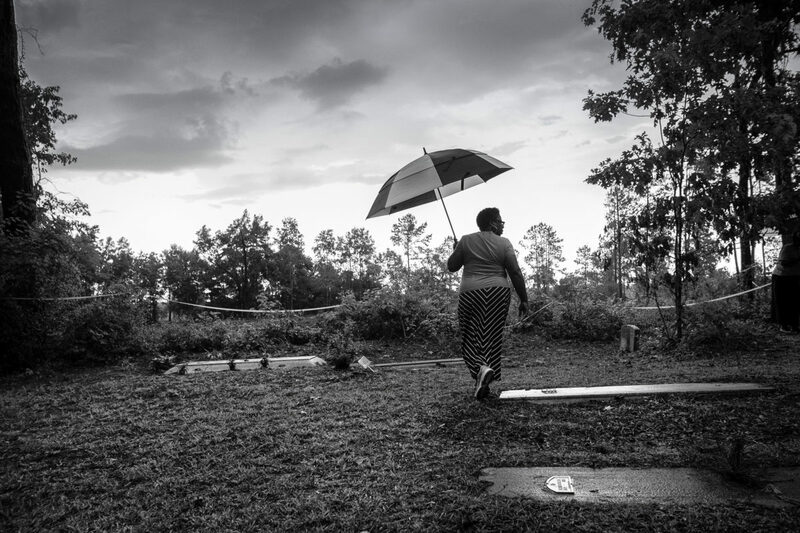 And history seems to keep repeating itself as the Gullah Geechee have had numerous fights over the past 50 years to maintain their free access to their traditional cemeteries that have either been threatened by development or surrounded by private gated communities. The Gullah Geechee Coast extends for hundreds of miles between Cape Fear, N.C., and the St. Johns River in Florida. In 2004, the National Trust for Historic Preservation named the Gullah Geechee Coast one of the 11 most endangered placed in the United States. “Unless something is done to halt the destruction, [the] Gullah Geechee culture will be relegated to museums and history books, and our nation’s unique cultural mosaic will lose one of its richest and most colorful pieces,” states the National Trust Website. The Gullah Geechee Cultural Heritage Corridor was designated by an act of Congress on October 12, 2006. It is designated as a National Heritage Area and administrated in partnership between the National Park Service and local governments. The corridor is specifically focused on 79 Atlantic barrier islands within the designated area and their African-American inhabitants, and adjoining areas within 30 miles of the coastline. The purpose of this body of work is to document the current state of the Gullah Geechee Culture which will serve as both an educational tool as well as a historical record of the culture.